Simon Thomas, partner at administrators Moorfields said: "Pretty Green is a popular brand and received a considerable amount of interest. We are confident that JD Sports is the right fit for the business and will help to grow its online and wholesale channels." 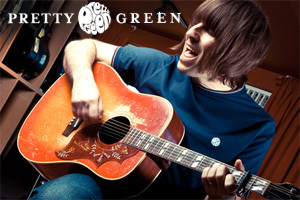 "We are pleased to have completed the acquisition of the highly regarded Pretty Green brand. We look forward to working with the team on future positive developments," said Peter Cowgill, executive chairman of JD Sports.